The Global Web Index recently took a deep dive into devices, with the goal of learning which devices users consider most important for accessing the internet. Cited as the most important device for 41 percent of respondents, mobile devices won out over laptops, desktop PCs, and tablets. If your website is not yet ready for mobile, contact us to get started. Today’s Halloween customs are thought to have been influenced by folk customs and beliefs from the Celtic-speaking countries, some of which are believed to have pagan roots. Who knew?! It falls on Monday, October 31st this year. For those of us here in the states, we get to decide who will be the successor to President Barrack Obama. We won’t pick any sides here, just want to make you aware it’s really happening, in case you forgot. The election falls on Tuesday, November 8th. Do you have any digital marketing plans that include Halloween or could reference the election? Do you have products or services that are seasonal that you might want to ramp up? If your customer’s buying habits are changing as we head into colder months, maybe your advertising message needs to change too. If you need help identifying how you can better reach your clients in the time of Halloween and cooler weather, let us know, we are happy to help you. Advertisers can now use demographic data to either create bid adjustments for different demographics or can exclude certain aged users or genders from seeing their ads on the SERP. Keyword research is one of the most important, valuable, and high return activities in the search marketing field. Ranking for the right keywords can make or break your website. By researching your market’s keyword demand, you can not only learn which terms and phrases to target with SEO, but also learn more about your customers as a whole. Let’s head to Moz’s “Beginners Guide to SEO” to learn more. WebRanking’s James Svoboda had the privilege of presenting at SMX East in New York on pay per click for a “Creating The Ideal Account Structure” session that was moderated by the highly respected Brad Geddes and also included Susan Wenograd and Justin Freid. 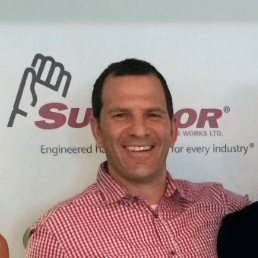 WebRanking has been working with the Scott Inman at Henderson & Daughter since August, 2010. We manage his Paid Search Campaigns and provide onsite SEO. 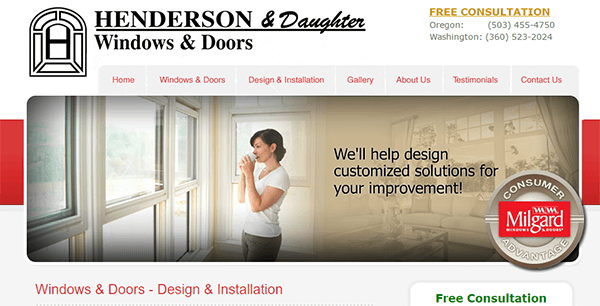 With the cooler temperatures rolling in, now would be a great time to get your drafty windows or doors replaced.If you’re in the Portland / Vancouver, be sure to find out more at hendersonanddaughter.com!